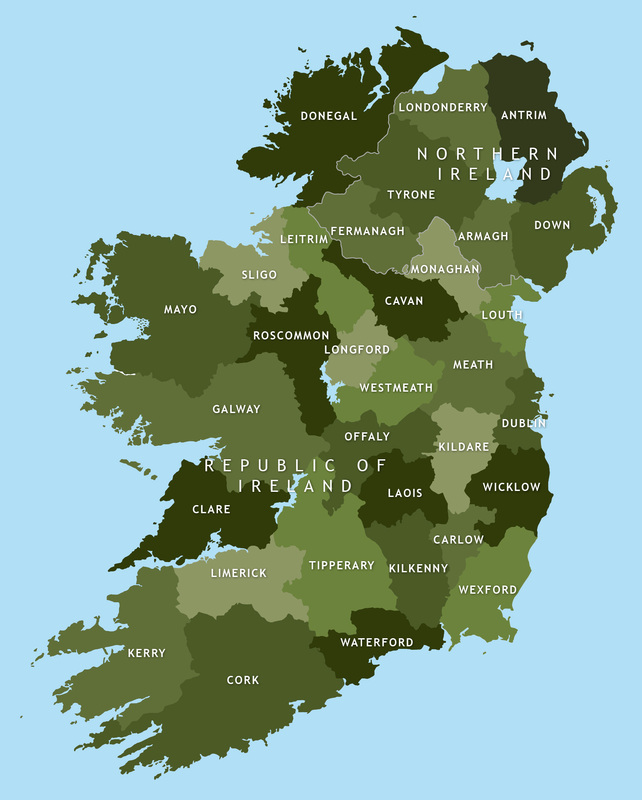 This editable map base has all the counties of Ireland, including layers for the Republic of Ireland and Northern Ireland. You can highlight individual counties in whatever colours you want or use one of the built-in colour schemes, or have all counties as a single colour with varying stroke weights for the boundaries. The boundary between Northern Ireland and the Republic is included if you need it. You can also choose whether to show the major loughs that form some of the county boundaries or to have a solid landmass silhouette. If you want to include cities and roads in addition to counties, see the political map of Ireland and our detailed map of Ireland. We also have a county map of Britain and Ireland if you want to show Northern Ireland in the context of the UK.